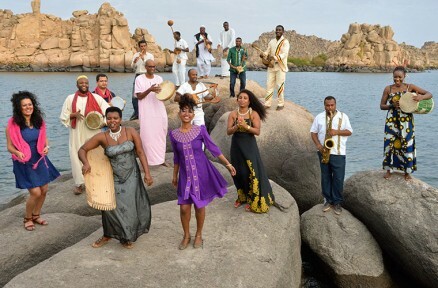 This extraordinary program brings together more than a dozen instrumentalists and vocalists from the Nile Basin who use the power of music to raise awareness of the cultural and environmental challenges along the world’s longest river. Their songs weave together the deep grooves of Ethiopia with the Arab classical traditions of Egypt and Sudan, and the rarely heard music of Burundi, Rwanda, Uganda and Kenya. The world’s longest river runs through the political boundaries of eleven countries and touches the lives of 300 million people, but over the past century East Africa’s leaders have struggled to find ways to preserve and share this critical resource. The Nile Project founded by Egyptian ethnomusicologist Mina Girgis and Ethiopian-American singer Meklit Hadero offers an innovative model address the Nile Basin’s cultural and environmental challenges. Panel discussions to be announced.